During the Nepcon Show 2018 in Shanghai, members of The Hermes Standard Initiative were asked about the plans regarding The Hermes Standard Implementations, about opportunities for customers arising from the joint development and open architecture, and about their view on the general importance of the Hermes Standard for the future of the electronics assembly industry. 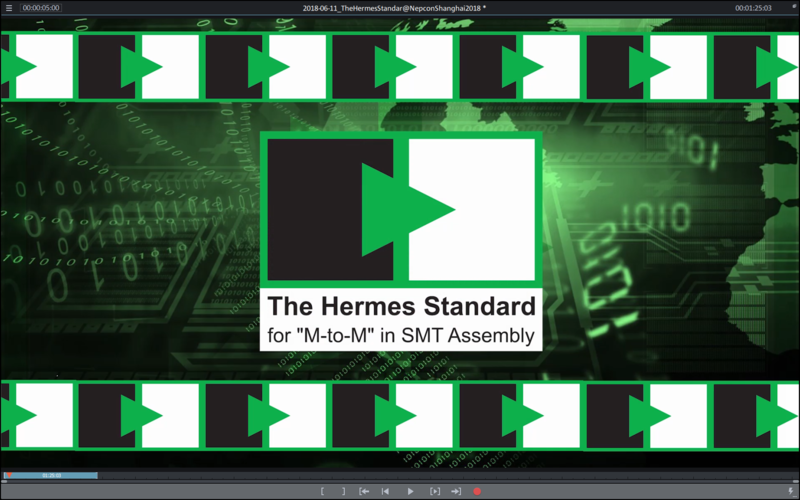 Further, the elected chairman of The Hermes Standard Initiative was interviewed by Global SMT’s Trevor Galbraith about his oppinion regarding the future of The Hermes Standard and the impact on the whole industry. A quick teaser video is embedded below. Please find the full statements of The Hermes Standard members at www.vimeo.com/274526260 and the interview with Thomas Bliem at www.vimeo.com/269030733.